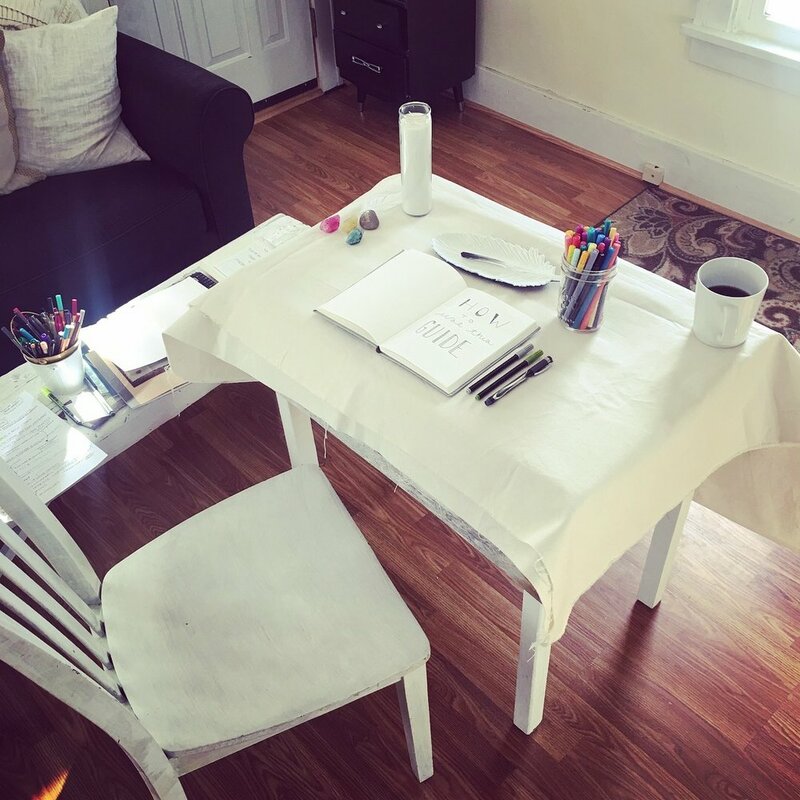 My intention for this guide is FOR YOU to cultivate your own hand writing to create a creative daily practice to inspire your creative spirit and connect you with your present self. This guide allows you to practice with me wherever you maybe in the world and is inspired for my monthly workshop I lead. I AM inspired to invite you to Create What You Most Need To Find and this practice carries inspiration, guidance, opportunity and space for you to evolve, grow, learn + practice. I AM GRATEFUL + HONORED TO PRACTICE WITH YOU.